What does it mean to live SAP’s mission to help the world run better and improve people’s lives? Every year, during the month of October, SAP employees mobilize and volunteer in their communities thereby experiencing SAP’s mission in action. Whether it’s teaching kids to code, painting elementary schools, or increasing awareness of the UN Sustainable Development Goals, SAP employees dedicate themselves to improving their communities by participating in SAP’s Global Month of Service. The end result? Hundreds of thousands of lives impacted and a fresh sense of perspective. This is the magic of SAP’s Global Month of Service (MoS). As I had mentioned on my previous blog post, SAP’s Month of Service is multifaceted: it’s about serving our communities, changing perspectives, increasing awareness of challenges a local community might be facing, dedicating time and knowledge, learning and making a difference. Month of Service and the slogan “because doing good matters” is not just empty words, but a tangible and authentic expression of SAP’s corporate culture and vision of helping the world run better and improving people’s lives – one drop at a time. This year we succeeded once again and motivated more than 20,000 employees to volunteer for over 750 projects across the globe – projects that vary in a dozen ways. Thousands of young students made their first “digital step” with learning how to code. Our employees offered support to refugees, and NGOs found helping hands to enforce their projects and become more effective. We could fill pages with all the initiatives that took place within the past month, so, let me give you a sense of what our employees dedicated themselves to last month. SAP employees, young designers and developers created FashionTech solutions for people with disabilities at «WearABLE Future» hackathon at SAP in Moscow. The two-day hackathon resulted in functional prototypes of technological solutions and ITMO University students won with their project «TapOk» – smart footwear with an automatic sliding mechanism for disabled people without arms or hands. 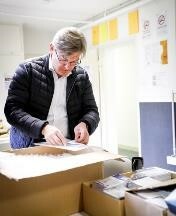 One of many activities around SAP’s headquarter in Walldorf, Germany, was to prepare about 700 information packages for refugees at the Welcome Center in Heidelberg. Next to 13 employees, Michael Kleinemeier, member of the Executive Board, joined the project to show his support and make a personal contribution. 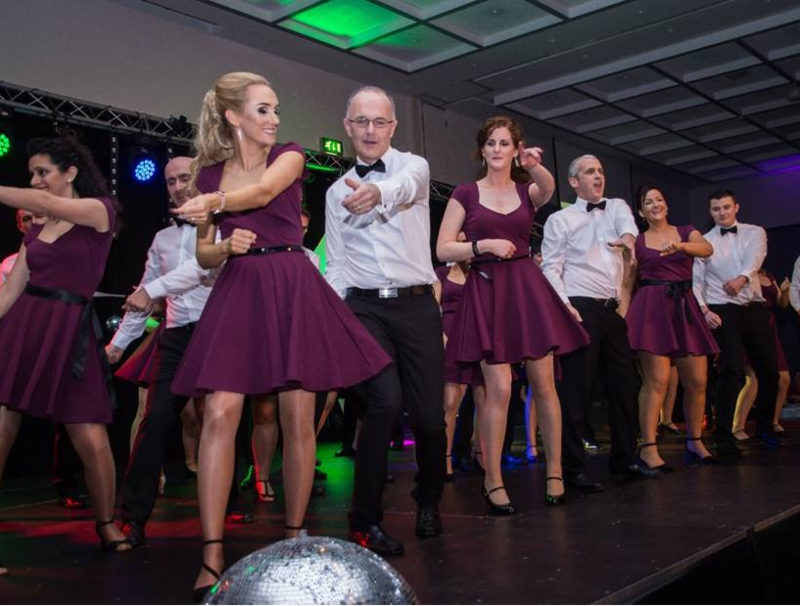 In Ireland, 28 SAP Galway colleagues presented the result of their tough dance training on stage, at an SAP Dancing event and raised €35,000 for the local cancer charity Cancer Care West. 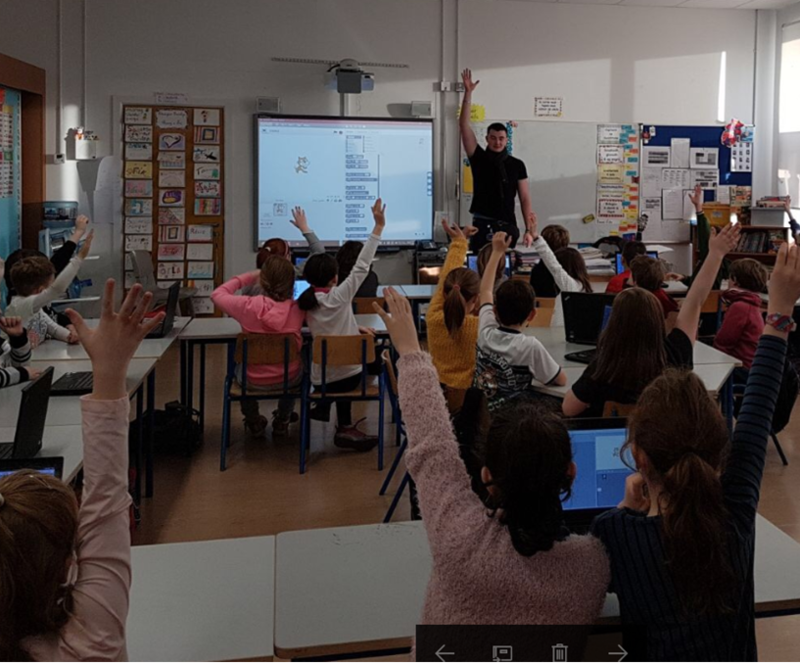 As part of the EU Code Week and Meet & Code, 250+ SAP colleagues participated in over 600 workshops throughout Europe to deliver coding sessions to children in a fun and engaging way. In Greater China, 4 of our top executives in the region championed Month of Service through Executive Volunteering Days. With a focus on the younger generation and ensuring equal access to the digital economy, Brian Tse, Head of Digital Business Services of Greater China, organized a guided tour through the Science & Technology Museum in Beijing for over 40 migrant children – an inspiring day for the children. 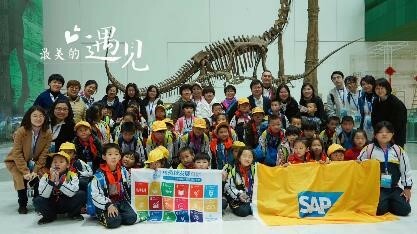 To increase awareness and understanding of the UN’s sustainable development goals, 200 SAP employees in China participated in dialogue sessions with different United Nations Committees to discuss the private sector’s role in sustainable development and Agenda 2030.Not only did we represent our company values on gender equality but also SAP’s commitment to support the design of smart cities, sustainable supply chains and make IT run greener in China. 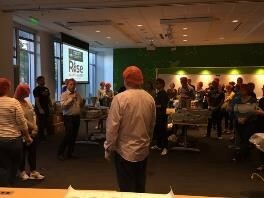 Packing over 150K meals for those in need together with Rise Against Hunger, is just one of the many projects our colleagues in North America drove. More than 160 students and 40 SAP Volunteers joined forces to transform three schools within the “Transform Your School” design challenges, as part of the partnership launch with the National Network for Teaching Entrepreneurship. Also, 17 groups of students visited SAP offices to get a sense of what it was like to work for SAP. They had the opportunity to do job shadowing, Design Thinking challenges, coding workshops, and to visit the D-shops (developers’ workshops) filled with Lego, drones, Google Glasses, 3D printers and more. Across Labs Canada and field locations, 1,359 employees contributed over an astounding 5,225 volunteer hours in 79 projects. Labs Toronto teamed up with the City of Toronto to host a Career Exploration Day for jobseekers who were interested in what it takes to get into tech. Labs Vancouver hosted two events to reach out to kids who were interested in coding by hosting GIRLsmarts4tech and Science World British Columbia’s Future Science Leaders. 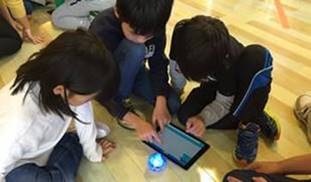 One great initiative was a programming session for children using a ball-shaped robot called “Sphero” in Minamisoma City, Fukushima. The children were divided into 5 teams and looking into their iPads, they combined various commands like “Go straight,” “Turn.” They learned a lot about programming and teamwork needed, in order to lead the robot to the goal of every course. SAP India has the vision of fostering digital literacy amongst adolescents & citizens and to develop IT skills and competencies amongst youth, therefore enabling access to meaningful employment opportunities. 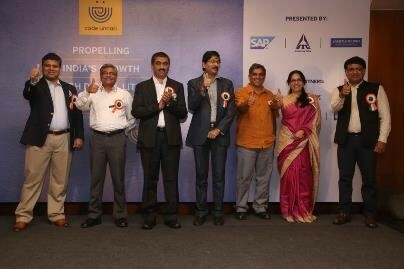 With the initiative “Code Unnati” we not only contributed to social and economic development in India, but with the two code weeks in North and South India, SAP trained over 50,000 students. 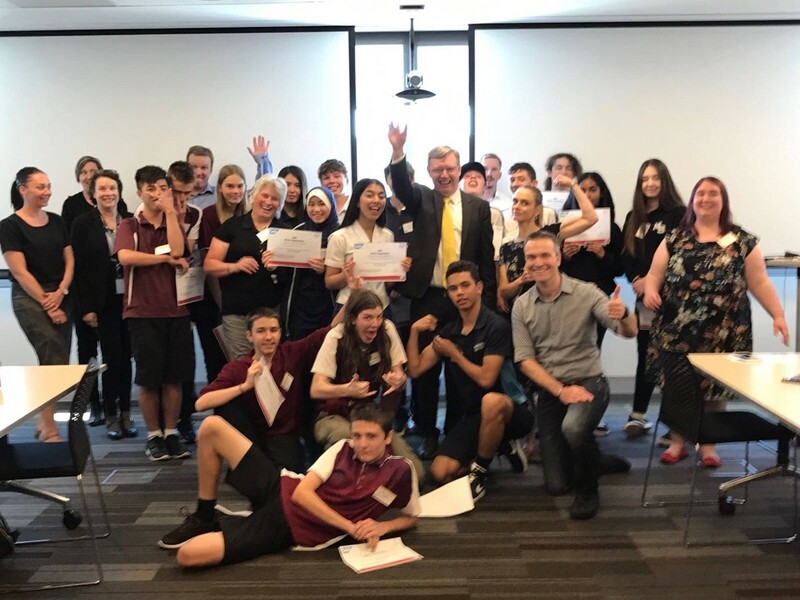 In partnership with Australia’s largest children’s education charity, The Smith Family, hundreds of SAP colleagues engaged during the Month of Service with students from disadvantaged communities to share what it’s like to work in the technology sector and inspired hundreds of kids for the digital careers of tomorrow. 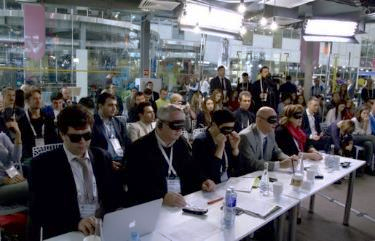 SAP partnered with Ayrton Senna Institute and supports the Reading Room in Brazil, a program that develops cognitive and social-emotional skills of primary school students. The activity adds to the support we provide to the institution through the Volunteer Ambassadors program where SAP employees conduct programs for educational partners and students and give master classes to groups of 100s students in the affiliated schools. 200 employees from the Buenos Aires office in Argentina organized a Craft Product Fair to support 60 people with disabilities through Proactiva, a non-profit association whose mission is to carry out concrete actions to transform society’s outlook towards people with special needs, achieving inclusion from urban accessibility, education, sports, culture and work. Talented and motivated individuals created a market inside SAP to talk about their products and offer them for sell with a round success! Africa Code Week has again been a huge success. 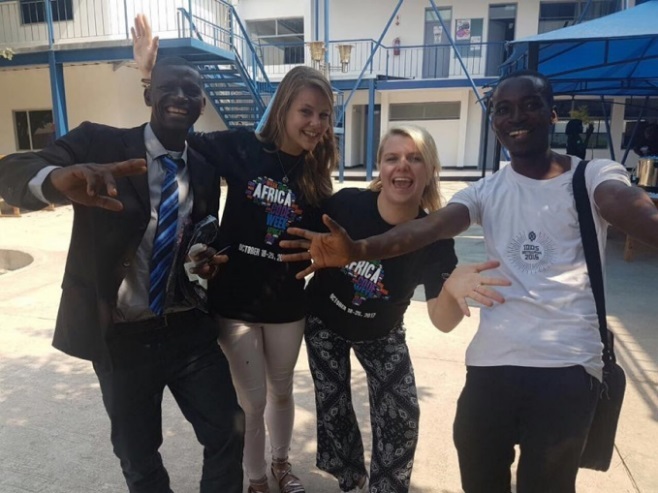 In its third year now, 80 SAP volunteers trained thousands of teachers in 35 countries, to bring coding to hundreds of thousands of children across the continent. countries on the continent of Africa. 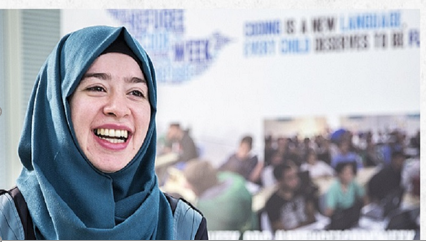 Another region wide program,Refugee Code Week, started last year, has been expanded from 4 to 9 countries. 70 SAP volunteers trained over 3000 teachers and students to teach coding to children in 600+ workshops. A few weeks ago, Bill McDermott sent an inspiring e-mail quoting “Our Month of Service program is our flagship opportunity to know more, care more and do more”. Once again SAP’s employees brought everything they are and went above and beyond to share their time, experience and know-how to make a difference in their local communities. But our employees did not only volunteer, hundreds of them worked tirelessly as volunteer ambassadors to organize projects, motivate employees and liaise with NGOs to ensure Month of Service could once again be a roaring success – to all of our volunteer ambassadors and CSR teams around the world we owe a huge THANK YOU, as none of this would have been possible without you. As quoted by some of our volunteers each act in itself might seem small, but add them up and a drop can turn into an ocean – because doing good matters!